The 2014 season of Project ArAGATS is underway. As usual, a number of research projects are being conducted under the Project ArAGATS umbrella. At Gegharot, we are continuing work in the Early Bronze Age layers of the citadel where excavations continue to reveal remarkably well-preserved stratified levels of both the early and late phases of the Kura-Araxes. 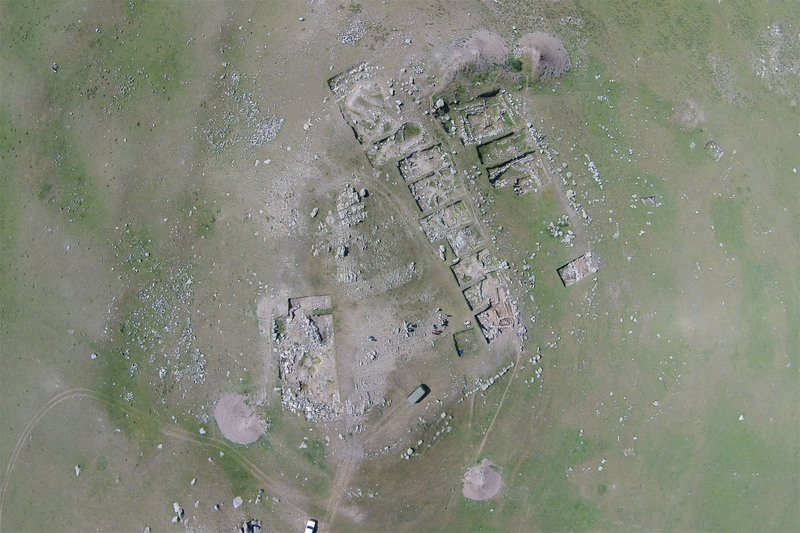 Below the citadel, we are continuing work in a remarkable field of kurgans that appear to have been constructed at the ear lies moments of the region’s Late Bronze Age. At the site of Aragatsi Berd, we have recommenced excavations on the terrace below the citadel in order to shed more light on the site’s Bronze Age occupations. In addition to continuing work a critical sites, Project ArAGATS has also inaugurated a new phase of regional survey focused on the upper Kasakh Valley. The goal of these investigations is to provide a foundation for a comparative regional understanding of long term settlement history in order to place the patterns detected in the Tsaghkahovit Plain within a wider regional framework. As part of this regional research, we are using a Phantom 2 Quad Copter Drone to capture new views of the region and our sites. We will post updates on the work during the month of July. This entry was posted in Fieldwork and tagged 2014 Season. Bookmark the permalink.